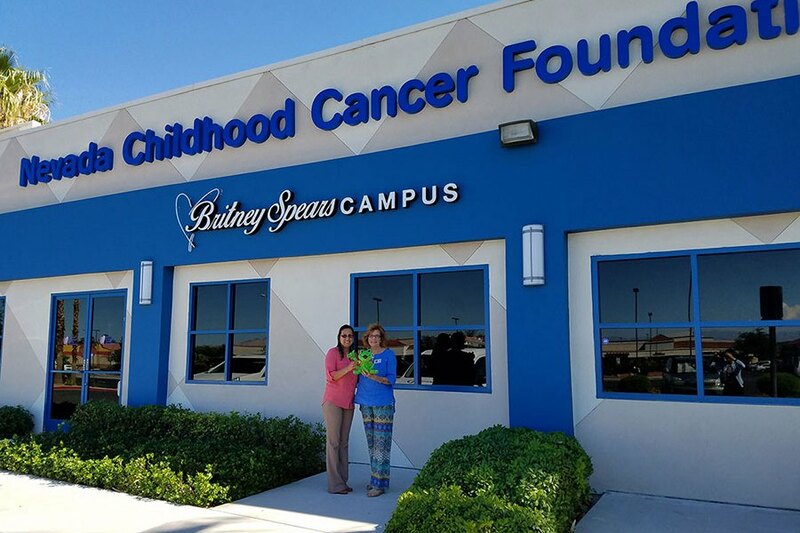 Britney Spears is scheduled to attend the grand opening of the Nevada Childhood Cancer Foundation’s new facility called “Britney Spears Campus” on November 4th in Las Vegas. This new facility was made thanks to Britney’s donation from her POM ticket sales and other events. 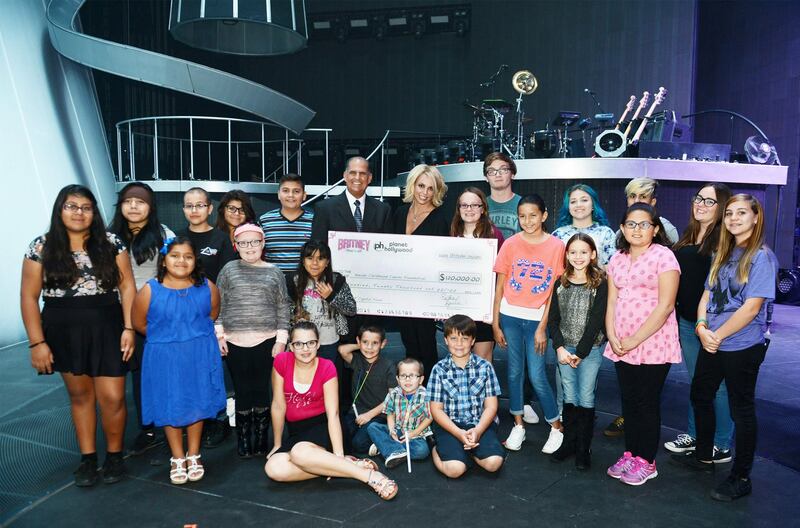 The new facility, which houses 45 programs and services for children diagnosed with cancer and other life-threatening illnesses as well as adults diagnosed with cancer, was made possible by Britney Spears and her efforts to raise one million dollars with donations from ticket sales from her “Piece of Me” show at Planet Hollywood Resort & Casino[, as well as major donors including Southwest Specialty Contractors, Zappos, Robert Earl, Live Nation, Fusch Commercial Interiors and Design, Caesars Entertainment, Elizabeth Arden and Ann White of Ultimate Fighting Championship (UFC). 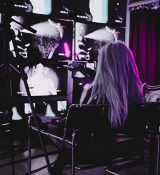 The Britney Spears Campus is is a 16,000 square-foot facility combining more than 45 pediatric and adult services for children diagnosed with cancer and other life-threatening illnesses as well as adults diagnosed with cancer. NCCF’s services were previously located at two separate facilities in the valley. The new facility is located at 3711 E. Sunset Road. There will be an open house from 11:30 a.m. to 12:30 p.m. Nov. 4. The NCCF Britney Spears Campus is officially open! Britney, Pitbull and Romeo Santos collab “Hey Ma” has leaked!